Once upon a time popcorn ceilings were popular. If you want to have yours removed contact us today for a FREE quote. 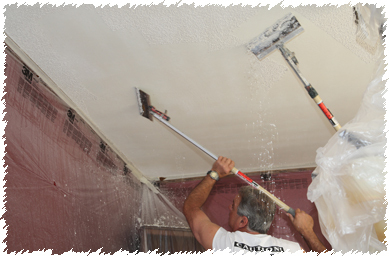 D & D Painting is expert at the removal of acostic ceilings AKA popcorn ceilings. Our highly trained and skilled technicians will insure that your home and posessions are protected while the removal is done. We cover your furniture and belongings, then we clean up thoroughly after ourselves. After the material is removed from your ceilings we will mask, tape and float the tape marks, nail holes and any other blemishes. We will then apply the texture of your choice. 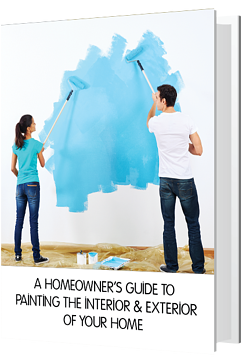 We are a state licensed contractor so before we are done, we will seal the ceiling, prime and paint it in the color of your choice. We have done hundreds of ceilings and the difference is remarkable. If you are thinking of once and for all getting rid of that ugly dated popcorn ceiling, contact us today for a FREE no obligation estimate.